The European Union will not be placing a ban on imports of Indian shrimp, according to the E.U.’s ambassador to India. Ambassador Tomasz Kozlowski told India’s Business Standard on 25 September the E.U. had ruled out a ban in response to European concerns over the safety of India’s shrimp exports. “We are not going to put any ban on Indian shrimps,” Kozlowski said. “Only one thing is that we have some health regulations in Europe and all imports from abroad should meet our requirement." The European Commission was reportedly considering a total ban on Indian shrimp imports after E.U. inspectors found numerous shipments of Indian shrimp containing veterinary medicinal products, pesticides, and contaminants at concentrations in excess of E.U. maximum limits. 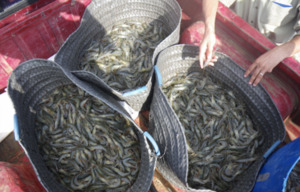 The E.U.’s initial response was to up its inspection rate of Indian shrimp shipments from 10 percent to 50 percent. Months later, an audit conducted by E.U. inspectors in November 2017 found India needed to do more to improve its seafood inspection regime, giving rise to worries amongst Indian shrimp producers that they would face a total ban on their products entering the E.U. But Kozlowski cast aside those fears in his Business Standard interview. “Indian shrimp exports to E.U. is going on,” he said. However, Kozlowski said India’s shrimp industry must improve its processes to ensure the safety of the shrimp it is selling to the European Union before the E.U. reduces its inspection rates on Indian consignments.